Addressing homelessness, poverty and substance abuse are priorities in many local governments across the country. 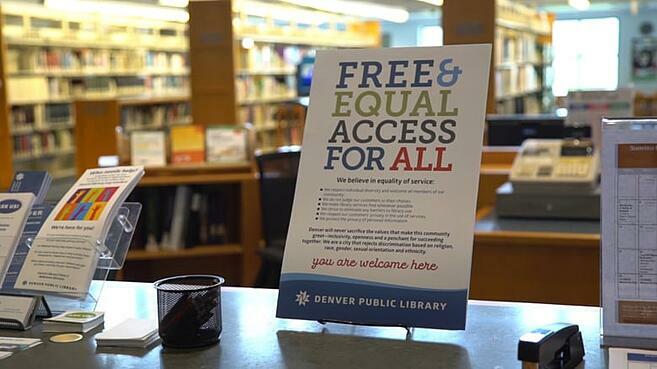 See how Denver is combining innovative ideas and grant funding to redefine the role of its public library to address these priority areas. Watch and share this video. Denver Public Library’s "Peer Navigators" provide referrals to resources such as housing, mental health and/or substance abuse services. They also assist with benefit acquisition for library customers experiencing poverty and homelessness. This program is funded by a $41,000 grant from the Justice Assistance Grant through the U.S. Department of Justice and is administered locally by Denver Human Services and the Colorado Mental Wellness Network. Watch more inspiring stories and see the impact of grants in our communities. Watch #GrantImpacts. Do you have an innovative library story? We want to hear from you! Leave us a comment. Read more articles like this. See all posts.